Rosie wants to spin, she wants to fly, she wants to look pretty and she wants succeed. But mainly she thinks she wants to dance. Ever since she was a tiny little girl she has loved to run and skip and dance to music. She would watch t.v. and try to mimic what she saw - whether it be ballroom from Dancing With the Stars or Lyrical and Jazz from So You Think You Can Dance. For a while now she has known there are lessons that would enable her to move in the ways she sees on t.v. Diligently she has practiced her splits and tried her spins. I have corrected her arms and she has played at "being a dancer." But I have been reluctant to put her into a ballet class. Part of it has been the money. Ballet classes around her seem to start at around $50 a month for one class a week and then go up from there. The other part of it has been all of the activities that her brothers and sister are already involved in and how that has stretched our family to its limits in terms of time and energy. But mostly, it has been my desire to shield her from what I remember of the dance world. I started out innocently enough, in a local dance teacher's basement turned dance studio. 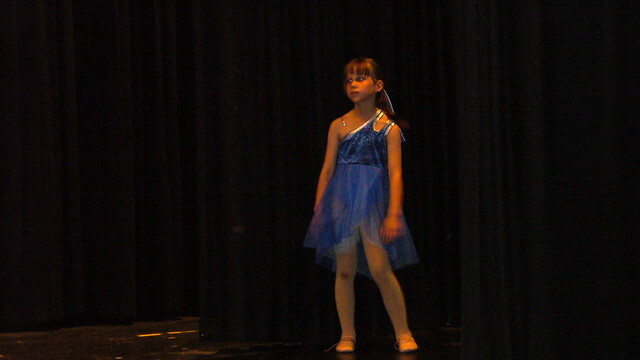 I had ballet, tap and jazz lessons once a week, with some acro thrown in once we were a little older. I had wonderful costumes (that cost a fortune) and participated in some amazing recitals that left me with very fond memories. But sometime in high school it started getting serious. I left basement ballet to find a "professional" school and quickly learned that I had no turn out or natural ability for ballet and that no matter how much I was able to achieve with hard work and determination, I was never going to look like this. For the first time in my life, I found something that that I wanted to do, but that I would never be able to achieve, and that was very frustrating. It was even more frustrating because success or failure in the dance world was never entirely in my own hands. It always depended on the subjective opinions of someone else. And teachers, directors and choreographers have their favorites; if you are lucky you can be one of them. If not you just keep paying for class and hope to be chosen for a special part someday. And for a girl it's all that plus stiff competition from all of the other girl dancers. Boys definitely have an edge on the competion in the dance world. Still, that's what moms do isn't it? Put their little girls in ballet class if they're able? I did it with my first little daughter. And she developed a dislike for it early on. A few weeks ago I had Rosie start running with the cross country team. The coaches were impressed and she seemed to like it. 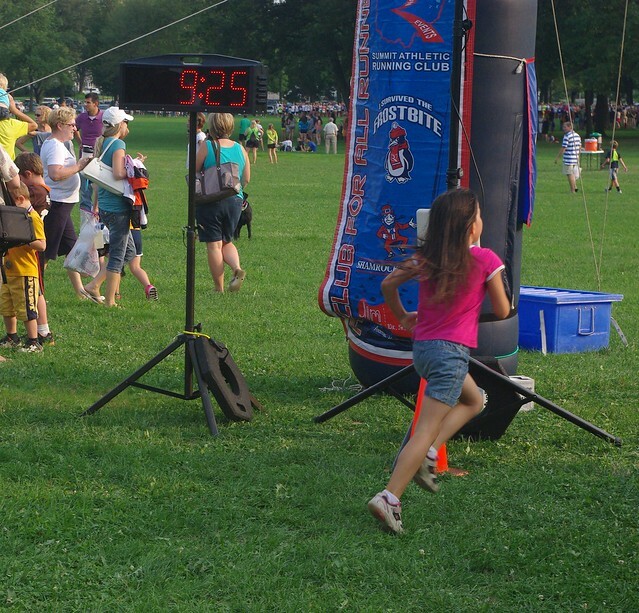 Then last week I had her run her first ever one-mile event. 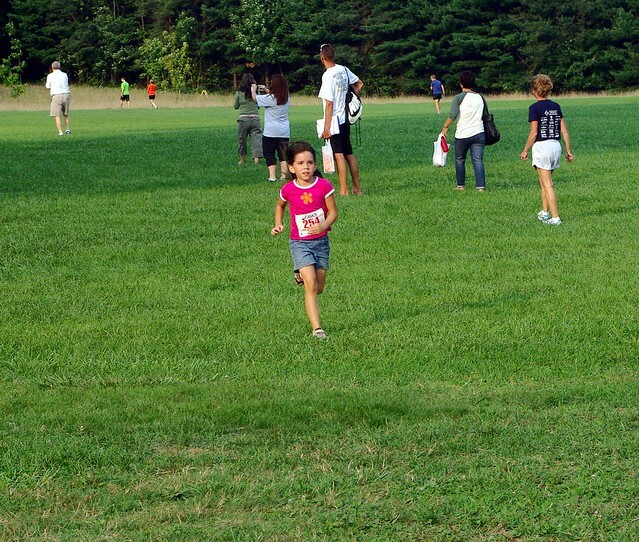 At first she didn't want to race because she was afraid she would lose, but when I explained to her that it was more about getting her own personal best time, she relaxed and ran a very good race. This week, as Rosie was talking about running and beating her time the next time she races, I told her that we weren't going to sign up for ballet. "Rosie, that feeling you got as you finished your race is the same feeling you get when you're dancing. The only difference is you don't have to pay a lot of money to run, and only you can tell yourself whether you were good enough or not. In running, the only thing that matters is the clock, and that's only if you're racing. For now at least, having had a taste of running victory, she seems to be satisfied. She hasn't asked to dance for over a week. We shall see. I'm in favor of settling on activities that all the kids can / will do but I allow each of my children to do a special activity that only they do. The boys have fencing or baseball or piano and my daughter may take dance or ride horses. Running is the least expensive sport - that's why my brothers and I did it - and getting personal bests is a worthy goal if winning isn't possible, even to the point that winning isn't satisfying unless one runs a "good" time as well.